Know the Costs When Your System Goes Down! Many companies have become dependent on e-mail, internet, and intranet services. Without it, employees are almost cut off from important business communications. Just mentioning outages has the ability to strike fear into the heart of even the most robust IT associate. Companies spend a lot of money to ensure the performance of critical applications and data centers, though the investment doesn’t always pan out. In 2013, companies such as Google, NASA, Facebook, Netflix, Twitter, and others all reported outages stemming from some problem in the network. IT failure have become an accepted (expected) aspect of business. brand damage, possibly driving business to competitors or even bad publicity/press. The cost of each hour of system downtime can vary depending on the nature and size of your business, and how critical your IT system is to making money. Establishing the true cost of downtime requires going beyond the IT department and into every operational area of the business. When an outage occurs, it’s a race against time to handle it before it spirals out of control. The average reported outage length was 86 minutes in 2013. However, the frequency of downtime, and the duration that critical systems are unavailable has become far too acceptable to organizations these days. Imagine not being able to ring something up at the counter or send that client email.When core systems are unavailable, productivity suffers. Depending on your industry, you may not be able to assign a value to the inability to send an email, but it can be incredibly frustrating and damaging to employee morale. Not to mention those wasted hours employees will spend waiting to access your system. In Ponemon’s 2013 survey of data centers end-user productivity loss ranked 3rd after the cost of business disruption and the resulting lost revenue in a comparison of cost categories. The risk of losing important documents and information increases when systems go down. Intranet files have replaced hard copies of information. Depending on the type and amount of data lost, can affect everything from sales and customer service to security and compliance. For example, if a pharmaceutical company that is manufacturing drugs does not show all of the records of its collected data from the manufacturing process, the FDA could force the company to throw away its entire batch of drugs. When technology fails, employees turn to consumer grade tools, like a flash drive, to send and access confidential information. It’s important to identify and understand all the potential downtime threats, both within your system and outside your network. External threats, both natural and man-made, you have very little control over, such as weather and DDoS attack. Eighty-three percent of survey respondents in the Causes of Downtime study said they knew the root cause of the unplanned outage. 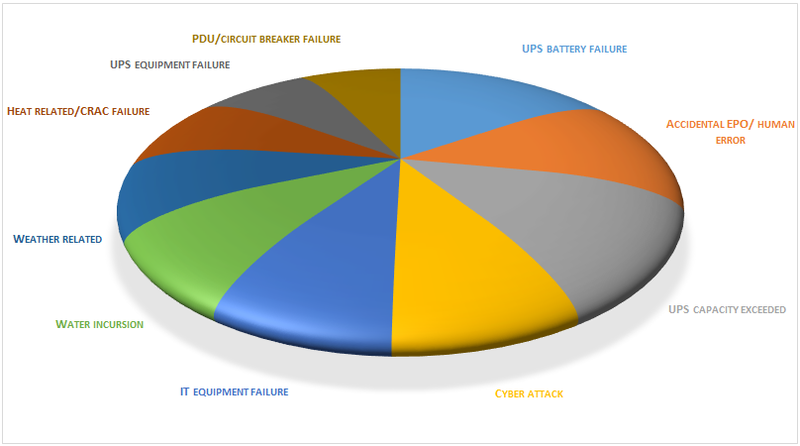 How much do you lose from unexpected downtime of your servers & business applications? Enterprise are challenged with shrinking IT budgets but still need to manage network infrastructures to prevent costly outages. The intricacy of modern IT means that avoiding downtime means more than just provisioning additional servers. Businesses need services that not only protects the infrastructure, but also has the ability to optimize, manage and scale for efficiency. When it makes sense to outsource IT network management, it’s important to choose a provider that understands your business’s unique environment and challenges. Telx Computers takes the complexity of managing your IT network with 24/7 monitoring and support and incident notification across all platforms.